If you have ever taken a picture with a digital camera or smartphone, you have also created Exif data. Whether you realized it or not, the camera or device records dozens of data points into the image file. These include the camera or device&apos;s settings, information about the scene and more. 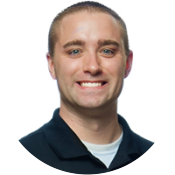 While this information itself is interesting, many tourism marketing professionals may not realize the power sitting in their photo archives and libraries. After all, many organizations literally have thousands of amazing pictures of their destination, all loaded with Exif data. Let&apos;s dive into Exif data and unleash some of that amazing power for your marketing efforts. Exif stands for "Exchangeable image file format." The standard specifies the formats and tags used for many types of media files, including images and audio. The Japan Electronic Industries Development Association (JEIDA) established it in 2002, with it being widely adopted by almost all camera manufacturers since then. Essentially, the chances are very high that your personal smartphone or digital camera puts Exif data on all of your pictures. What kind of data, you ask? You&apos;re probably starting to get the point now - there is a lot of information being stored on your photos that you can view and use, all thanks to your friends at JEIDA. What Can I Do With Exif Data? Windows and Mac OS both provide easy ways to view the Exif data of your images. Many of us at Simpleview also like the Web-based tool at Exifdata.com. As with many other types of data, it&apos;s up to you how to interpret the information to develop your story. Some marketers will care more about certain tags and fields than others will. However, here are some of the scenarios for Exif data that I have come across in my professional career here at Simpleview. Photo Comparisons - Sometimes, it is hard to tell why one shot looks better than other does. Rather than judging it from looking at the picture, you can check the Exif data to see the differences between the shot&apos;s aperture and depth of field settings. Share the Data - Photography-focused sites like Flickr actually expose Exif data on each picture&apos;s details. 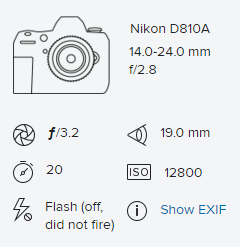 Information about the camera used for the shot and all of its settings can all be seen by other Flickr users. Assist with your SEO - Exposing Exif data could help your search engine optimization (SEO) efforts. Matt Cutts, who is a prolific employee at Google, published a video explaining the company&apos;s stance on Exif data and how it could be beneficial for search. In it, he states that Google and other search engines reserve the right to use Exif data, so it is better to have that data than not. 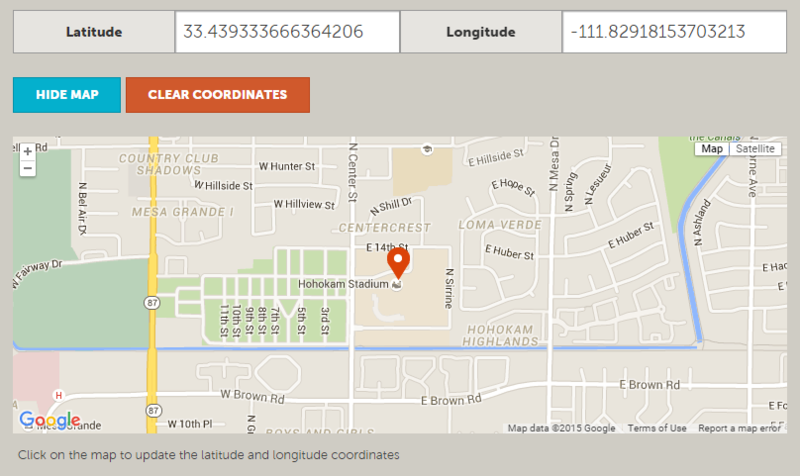 Add Data to your CMS Files - In the Simpleview CMS, we can extract the Exif geolocation data from your images into latitude and longitude fields. This data allows us to place Google maps in your Asset Request Module&apos;s Items, assisting the media to determine where the picture was taken when choosing the high-resolution content they want to download. I&apos;ve come across two situations where Exif data has caused frustration amongst our clients, which involve image orientation and privacy issues. Sometimes, a photographer will take a picture in a certain way, such as turning the camera at a certain angle to get the best shot. If they edit the picture with software that does not update or respect the Exif data, it can appear sideways or upside down when placed on the website. In this scenario, it can be especially confusing at times. As an example, you may have a database of images that is connected directly to your server where all the images&apos; orientations look correct. However, you may also run the images through a content delivery network (CDN) before rendering them on your website. Even if the database interprets the Exif data one way, the CDN may interpret the data differently. If this should happen, editing the picture in a program like Adobe Photoshop or GIMP will fix any orientation-related issues. Additionally, some photographers do not want their data floating around. You can always remove Exif data from any photo. The fine folks at MakeUseOf.com have a guide on the steps to strip the details from any picture, as well as ways to prevent your smartphone from adding the data in the first place. Exif data can be handy! It tells you everything you could ever want to know about your photos, helping you to choose the best shots for your marketing collateral and can even assist with your SEO work. So, dive on in and better understand all of the information available to you.